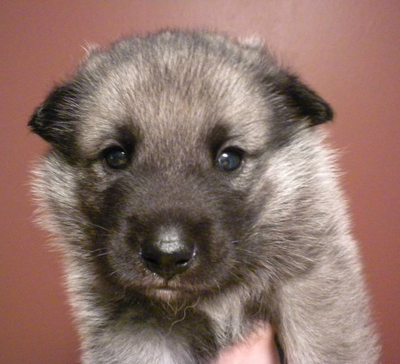 Welcome To Our Norwegian Elkhound World. While moving around our web site use your web browser back arrow to return to the page you left. If you have any questions or would like to leave a comment please Contact Us we would like to here from you. Read about GENIUS inside Your Dog; Extract from the World of Knowledge magazine. 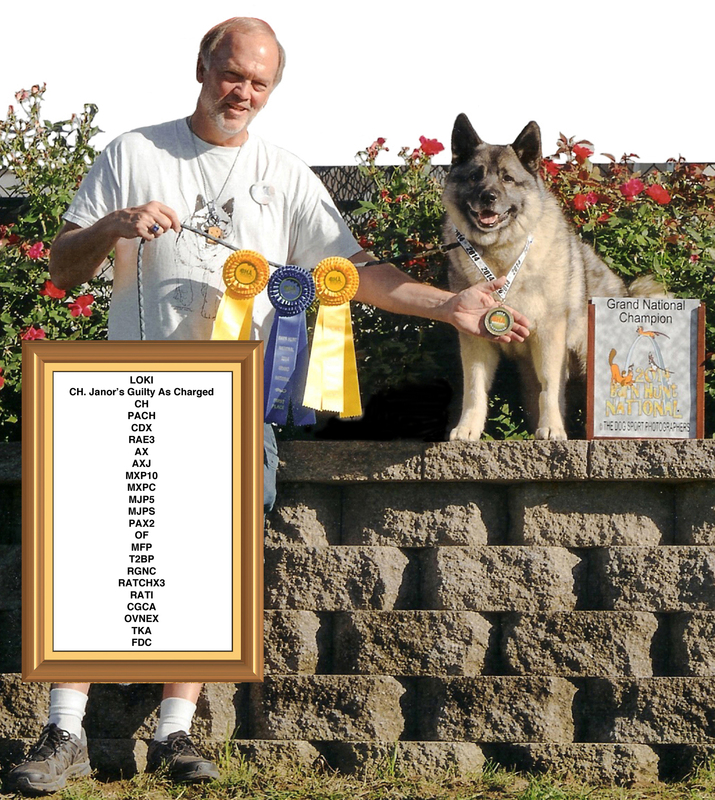 Can't find anything to do with your Elkhounds except feed them; CHECK THIS OUT! 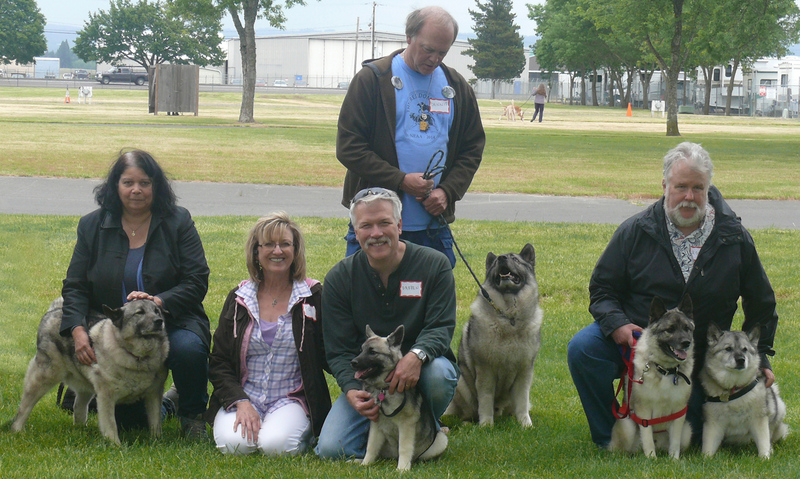 PSNEA was well represented at this years Rose City Classic Meet The Breeds event held in conjunction with the Rose City Classic All Breed Dog Show. Not pictured are Dennis Bell & LOKI. 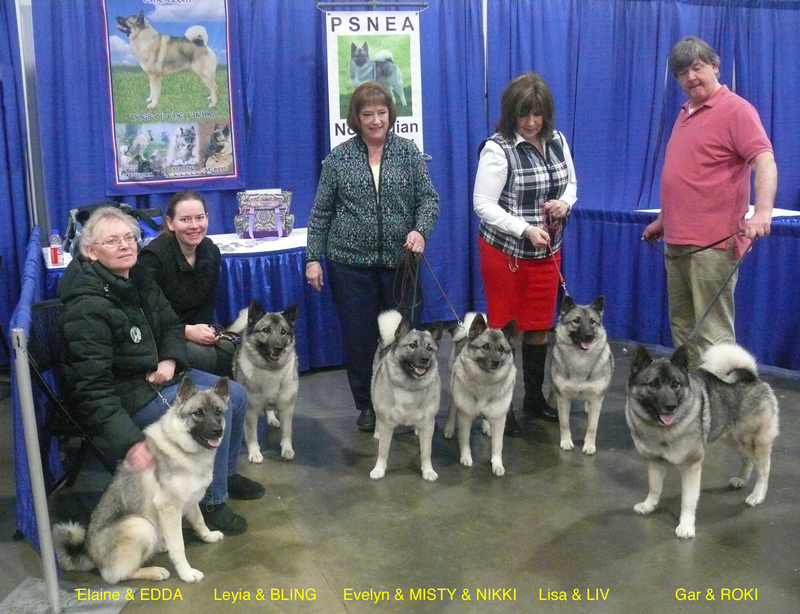 A highlight for PSNEA at this years show was a seminar for judges looking to add Norwegian Elkhounds to their credentials taught by Patricia Trotter. 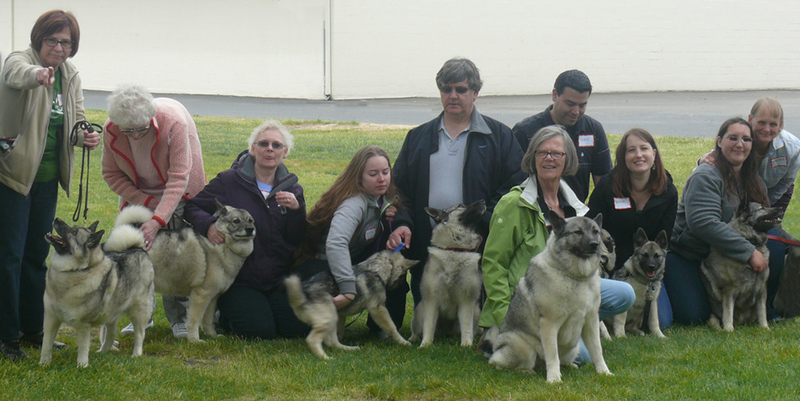 PSNEA supported Ms Trotter by providing some of the dogs she used in the seminar and we were invited to attend the lecture. 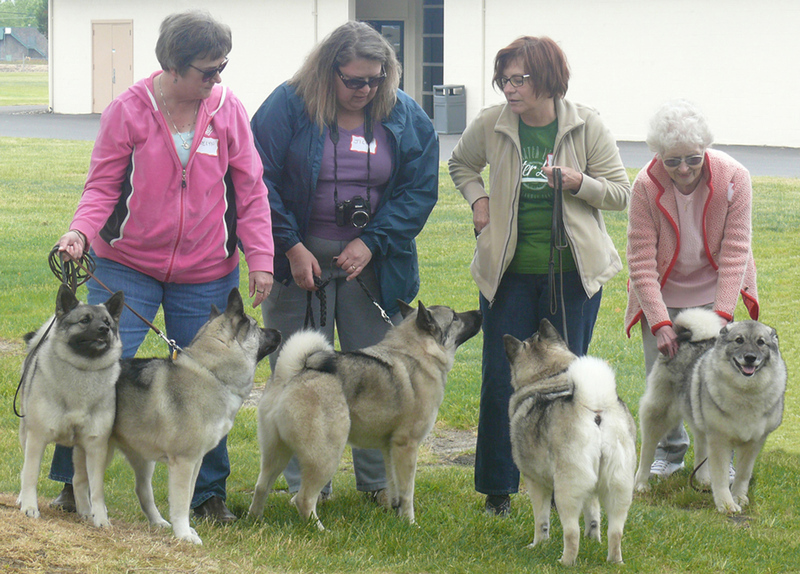 It was a special treat to listen to a long time championship breeder and judge teach how to properly evaluate Elkhounds. 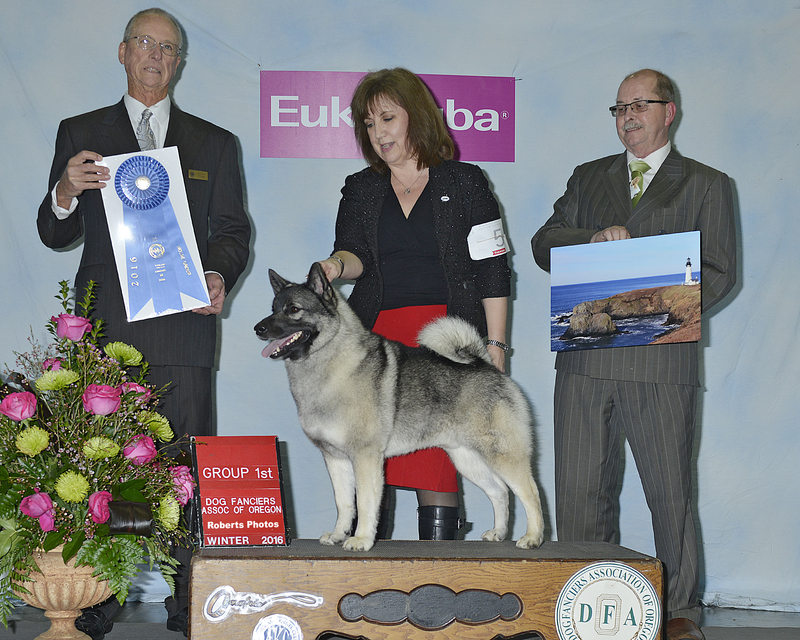 GrChampion “Janor's Arctic Blast” (Roki) owned by Gar, Elaine & Leyia Johnson; shown by Lisa DuPre wins Group 1 placement at the Rose City Classic Jan 2016. Congratulations ROKI. 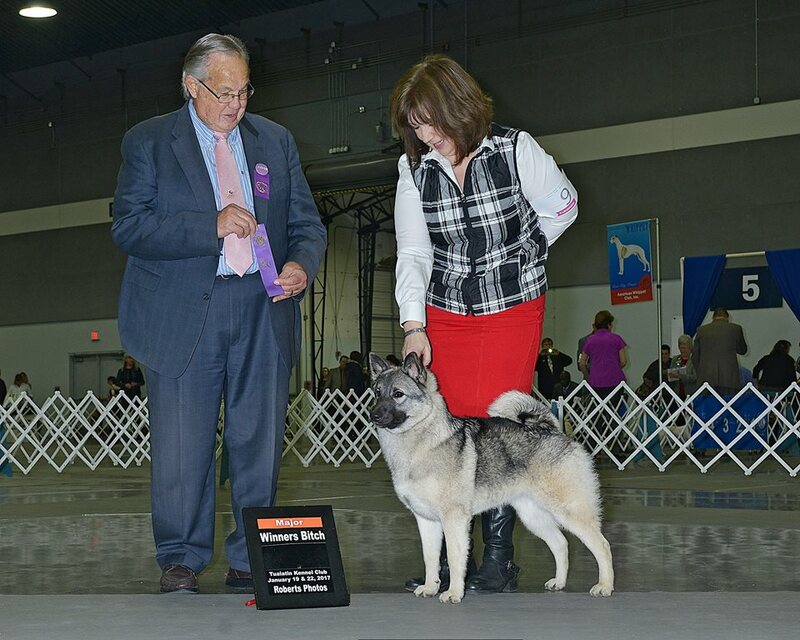 “Janor's All About The Bling” owned by Jan Herinckx; shown by Lisa DuPre wins her first major at the Clark County Kennel Club Show Dec 2016 at 8 months old. Kudus to BLING & Lisa. 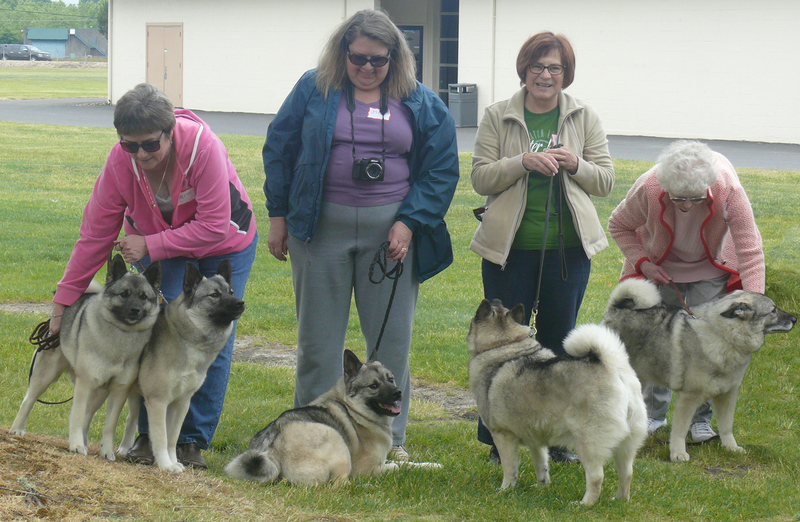 Read the HumanWatch Editorial "What I Learned At The Dog Show"
Read the Reader’s Digest Special Report "Scandal Of America’s Puppy Mills"